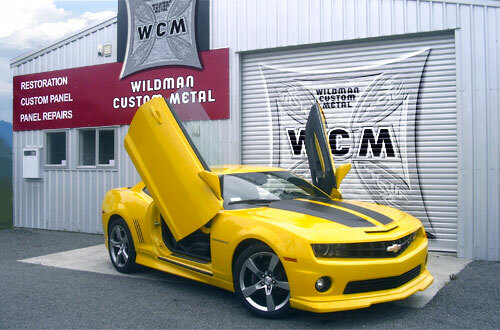 Scott Wildman foundered Wildman Custom Metal in early 2008, after enjoying a great career spanning 15 years working on some of the most difficult and rewarding vehicle restorations and customisations. He learn how to make metal behave itself and could form it into shapes that many thought were only possible with fiberglass. Today Scott Wildman manages and personally overseas every job his workshop is engaged on, wether they are for clients around the world, around the country or a small local repair. You’ll not find better hands to trust your car, truck or dream to. All rights reserved by Wildman Custom Metal Limited | Design: Collaboratus.